It's time to build your simplicity capability. Financial institutions are starting to realize that simplicity does not only improve the customer experience, resulting in trust and loyalty, but also reduces operational costs from redundant products, processes and dealing with customer complaints. How can banks achieve simplicity? We can find great lessons from smart banking alternatives such as Simple, Moven, GoBank and Bluebird. What is less discussed is how to achieve simplicity in traditional banks that deal with a legacy of old processes, infrastructure and often don’t have luxury of starting afresh. Translating the big intent to achieve simplicity into realization is not easy. The good news is that realizing simplicity is possible in any bank. As a design practitioner in one of the largest banks in Singapore, I’ve been leading a broad range of ‘Simplicity’ initiatives in the bank, such as website design, mobile banking, advisory tools, investment product communications as well as redesigning physical spaces. All of these initiatives have reaped measurable success in bottom line results and operational efficiency. We saw double-digit increases in sales in investment and insurance products when we simplified the communications material. We saw 100% adoption rate in using the digital needs analysis tool in our top branches after we simplified the tool. We increased customers’ satisfaction in our account opening experience by simplifying the system. Finally, our simplified website was not only listed as The More Gorgeous and Simple Banking Website, but also we could save about 0.5 million dollars per year by reducing the number of pages in the website. From years of my simplicity journey, I came to believe that ‘simplicity’ is not just a project. It is not just a team of simplicity specialists. It is a capability that we have to cultivate! Furthermore, it is an organizational culture that we have to create in order to achieve simplicity. I came up with the following framework to illustrate this point. Most banks understand the importance of simplicity, and have programs or projects to execute simplicity whether it is with customer touch points or internal processes or systems. This requires gathering resources such as a team of specialists / designers to deliver the project. 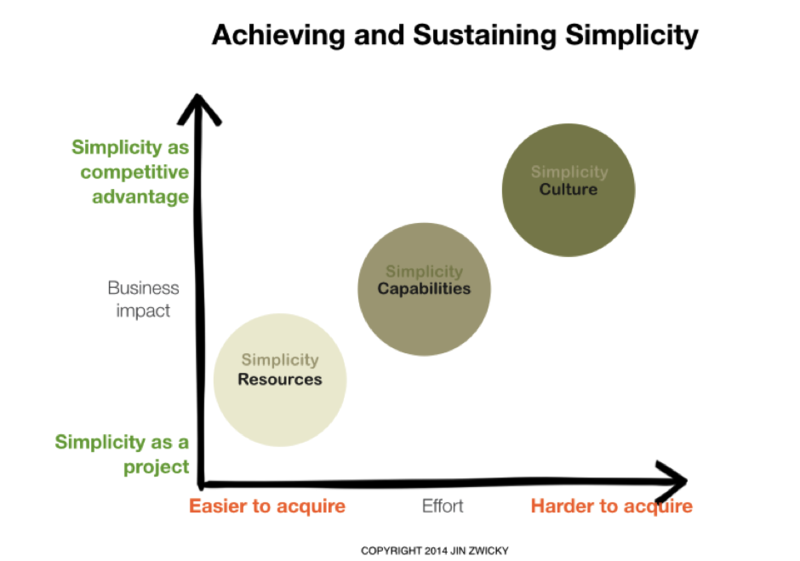 However achieving simplicity is not done, unless the organization builds a strong foundation to make simplicity sustainable. After all the hard work, it is also prone to be eroded by the flood of complexity over time, as living things are bound to become complex. It is more so in the banking industry due to changes in legislation, compliance requirements as well as technology. Simplicity is hard to achieve. Simplicity capability means the ability of bankers to understand and make decisions that achieve simplicity. Bankers can learn key simplicity skills, just as they learn communication or management skills. How simple would the online banking experience be if the project team in your bank understood the power of effective visual design? How confident would a customer feel in buying an investment product if bankers were dedicated to write the communication clearly without any banking jargon? When more bankers are equipped with those knowledge or skills, this became your organizational capability to achieve and sustain simplicity. I suggest the 3 most fundamental steps to cultivate the simplicity capability. Based on my research on simplicity, the most fundamental definition of simplicity for banking industry is this: “Simplicity is based on human nature and common sense.” I illustrated this definition as following. The pink circle signified one’s mental model, red circle signifies the knowledge required to understand something. The bigger the overlap is the simpler people perceive. That’s the nature of simplicity. This means banks must understand customers’ mental model first. This means banks must design the experience closer to their mental model. Understanding this definition gives valuable clues to embarking on a simplicity journey in your bank. Design is a noun - 'the look and feel of a final object'. Often bankers think a great look and feel is nice to have. When it comes to simplicity, it is not true - the look is the message itself. The look matters because it is not only what is there to read / understand, but also what you take - a feeling of confidence and a feeling of trust. This is how your mobile banking looks, and how easy customers feel when they use it. This is how product communications material look, and how confident customers feel about them. Therefore, how to assess a good visual design is a critical capability for banks. Design is too important to leave only at the hands of external experts. It is everyone's job to appreciate, care and obsess with the value of design to the business. Design is also a verb. 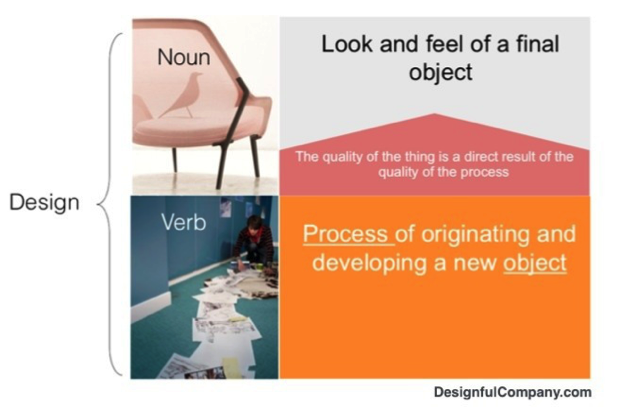 Design as a verb means 'the process of creating the object or experience'. Here, the important point is that the quality of the process has a direct impact on the quality of the output. In fact, great design is an outcome of the right design process. Banks’ design crimes such as complex product fact sheets and a complex banking system are the direct result of a bad design process. While the illustration looks like a straight line process, this is by no means linear in reality. The key here is the ‘iteration’ until we reach simplicity. This sounds so common sense, but it's often not commonly practiced in banks. Establishing the user-centered process in everything you do is the heart that pumps out simplicity throughout your organization. OCBC Bank in Singapore started teaching 'design' to product managers in the bank. They learn the importance of design process and how to apply simplicity thinking in their projects. They learn the basics of visual design to better appreciate and assess effective design solutions. They learn how to write a clear communication that speaks human, not that speaks bank. When these learnings and skills are cultivated as your organizational capability, your bank is building a stronger ground to fight against complexity and be more competitive in the market. The highest business impact can be achieved by cultivating ‘simplicity as culture’. To ignite the simplicity culture, ‘The law of conservation of mass’ sets the scene. ‘The law of conservation of mass’ is a theory in physics, which states that the mass of the system must remain constant over time, as system mass cannot change quantity if it is not added or removed. Apply this theory by replace the word ‘system’ with ‘pain’. The mass of pain - bad customer experiences in banking such as complexity in communications, hard to use touch points - will remain constant, the quantity cannot be added or removed. This means the amount of pain will be there. It’s either for the bank to absorb, or for the customer to absorb. The more pain you absorb, the less pain there is left for the customer. There is no magic like removing the pain. Customer pain is in inverse proportion to the pain companies go through when designing customer experience. How much work do you put into the design process to absorb as much as pain as possible for your customer? Acknowledging the amount of work to achieve simplicity, and willingness to absorb the pain to deliver simple customer experience...this is the mindset banks need to cultivate as the organizational culture. 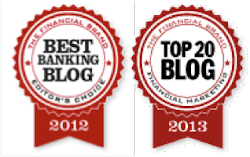 As the headline to this posts say, simplicity in banking is anything but simple. We need intelligence from experts, but that is not enough. 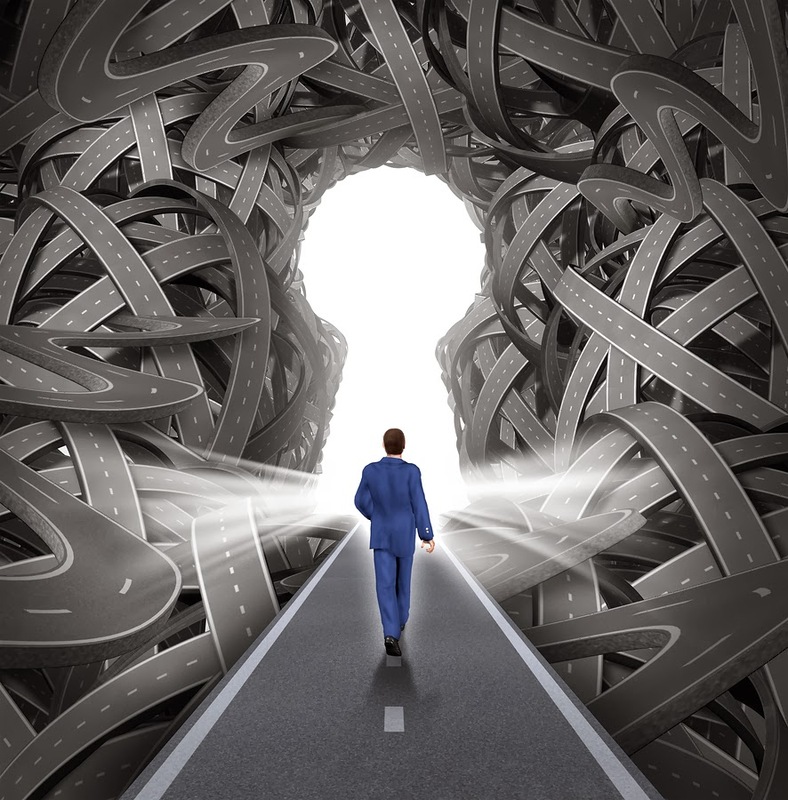 It requires your organization’s discipline and dedication and internal intelligence in cutting through complexity. Take a step to cultivate simplicity as your organisational capability and culture. Understand the definitions of simplicity. Teach your bankers design as a noun and as a verb. Absorb customers’ pain. JinZwicky OCBC from NextBank on Vimeo. 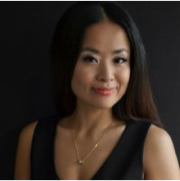 Jin Zwicky is the vice president, Experience Design, Group Customer Experience for OCBC Bank. She lead the bank's top priority customer experience design initiatives for retail, premier and private banking businesses. In her role, she establishes customer-centric design processes and fosters customer-centric organizational culture, cultivating 'Simplicity' as the organizational capability through training bankers and product managers. She also is the author/publisher of her own blog, Designful Co. I like your notion that simplicity is a capability. What I struggle with is the measurement of it. How does a bank know how good (or not good) it is at simplicity? Thanks for your sharp and thought provoking question! 1. Business Result (effectiveness) and Operational Efficiency- Every simplicity initiatives must be measured in terms of effectiveness ‘Have we achieved what we wanted’ This can be e.g. How much revenue have we generated, how much error have we reduced. How much cost have we saved? Measuring before and after is key. For examples, after we simplified our correspondences, we compare the number of calls we received from customers with the old communications and the number of calls after the simplification. This number of phone calls can then be translated into cost knowing how much each phone call costs for a bank. Notable authority on financial marketing and strategic solutions in the banking sector. Highly rated industry speaker. All data and information provided on this site is for informational purposes only. jimmarous.blogspot.com makes no representations as to accuracy, completeness, suitability, or validity of any information on this site and will not be liable for any errors, omissions, or delays in this information or any losses, injuries, or damages arising from its display or use. All information is provided on an as-is basis. This is a personal weblog. 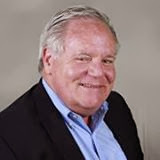 All the contents of the Blog, except for comments, constitute the opinion of the Author, and the Author alone; they do not represent the views and opinions of the Author’s employer, supervisors, nor do they represent the view of organizations, businesses or institutions the Author is a part of. The Author is not being paid to write content on this Blog or to manage and in any way operate this Blog. The Author is not responsible for the content of any comments made by the Commenter(s).